InstantPlanner was developed to meet the specific needs of distributors, consultants and manufacturers in the Material Handling industry. It’s a generic solution where graphical product components and easy-to-use drag-and-drop functionality allow the user to create a space plan in just a few minutes. When the layout drawing is completed, a photo realistic 3D image is automatically generated. During the planning process, quotations and a bill of material is updated and created automatically. Download a free trial and try it out for 20 days. No fee or credit card needed. The Administrative Tool in InstantPlanner lets you create and save product databases of selective pallet racks and shelving systems by entering product dimension, part number, description and price. Export the product databases to share with other InstantPlanner users. 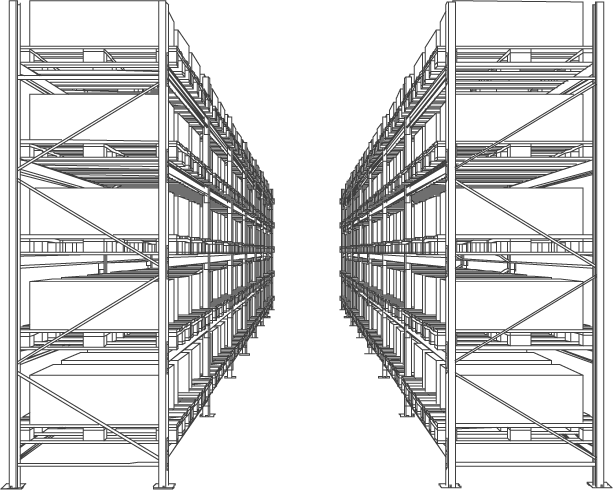 In addition to selective pallet racks and shelving systems, InstantPlanner also includes conveyors, vehicles, machines, drawing modules and more! InstantPlanner is available on a yearly, user-based subscription basis. Each user needs an account and a valid license to run InstantPlanner. If you already have a license, Download InstantPlanner. To get the render server, Download it, save the .msi file and then install it. The installation is quick and will start the render server automatically at the end. Are you a new manufacturer who wants to get started? With even more functionality, see how CET Designer, can help streamline your processes.